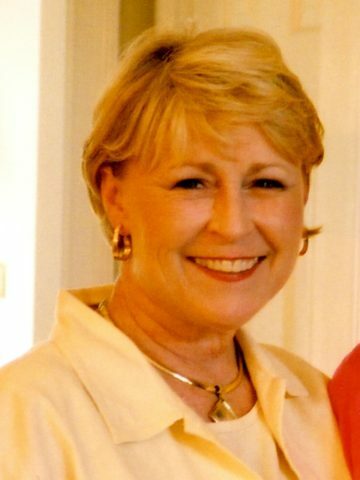 Kathy Peffen Burkhalter, age 66, passed away suddenly at her home on Sunday, September 23, 2018. Born on January 23, 1952, in Nashville, TN, she was the daughter of the late Ann and Harry Peffen, Jr. She is survived by her husband of 46 years,Ted Burkhalter, her son, Tab Burkhalter (Kristi), her daughter, Kristin Vance (Mark), and granddaughters Madelyn and Catherine Vance, and Abbie, Mandi, and Austyn Burkhalter. She is also survived by 3 sisters, Peggy Daniel (Gary), Mary Ruth Geny (Henry), Emily Peffen, and her brother, Harry Peffen, III (Kathryn). Kathy was a devoted wife, mother, grandmother, sister, aunt. She was a fierce defender of her family and friends.Kathy truly lived life to its fullest, and enjoyed its simple pleasures; being with friends and family, sewing, gardening, and spending time with her greatest joy - her five granddaughters (Grammie’s Girls). Active Pallbearers are Janet Gwinn, Lucy Bonvissuto, Lydia Hampton, Rachel West, Lolo Hobbs, Eba Hobbs, Pam Arnold, and Cathye Hancock. She will be escorted to her final blessing by Grammie’s Girls, Madelyn Vance, Abbie Burkhalter, Mandi Burkhalter, Catherine Vance and Austyn Burkhalter. Honorary Pallbearers are her nieces and nephews: Laura Daniel Wildman, Jennifer Geny, Elizabeth Geny, Ben Daniel, Charlie Geny, Will Peffen, and Mary Caton Peffen. Visitation will be held at St. Henry Catholic Church on Thursday, September 27 from 4-7pm. There will be a celebration of her life with Mass and a reception at St. Henry Church on Friday, September 28 at 11am. In lieu of flowers, donations may be made to St. Henry Catholic School or Christ the King School. To Kathy’s Family, may your many family memories bring you comfort to share with each other during this time. May you also have the peace and comfort offered by our Heavenly Father Jehovah as promised by his son and our savior, Jesus Christ. Our condolences to the family in this most difficult and sad time in your lives. May you feel God’s presence and the love of your friends ever so strongly. Our prayers are with you all in this most difficult time. May you feel the presence of Jesus giving you love and comfort. Tab so sorry for the loss of your Mother, Our thoughts and prayers are with you all. God bless you all. Praying for everyone with heart felt sympathy and hope that God’s healing touch will bring you peace. May God wrap his loving arms around all the family during this time and time to come. We will be praying for peace’s and comfort. Harry, May the comfort of your faith and love of our Lord sustain you and your family. My prayers are with all the Peffens. Harry, my thoughts are with you and all of your family. I know your faith will help sustain you in this loss. I am so sorry to hear about Kathy. What a spirit she was. I will be thinking of you and your family during this sad time. May she RIP. Please accept our deepest condolences on your loss. Kathy was always a pleasure to be with. She will be missed by all. Some of my best childhood memories are from our families going to the lake together. Holding you all close in thought and prayer. I am so, so deeply sorry. We are so very sorry to hear of your mother’s passing. We regret that we didn’t get to know her, but we are sure that her light shines through her children and granddaughters. Praying for peace and comfort for your family. Kathy was a force to be reckoned with, and had a fierce love for her family. My prayers and love are with the whole family. She will be missed. I am so very sorry for your loss. We are so sorry to hear of your Mother’s passing. Praying for God to give you peace during this difficult time. Mary Ruth and family So sorry for the loss of your sister. So sorry Tab. Our thoughts are with you and your family. Sorry the passing of Kathy was such a surprise. Had know idea she was sick.All of the families are in my prayers. Love you all, Janice Workman and girls. I am so sorry for your loss. My late mother, Julia Cox, and Kathy are in Heaven doing the bookkeeping for all. My thoughts and prayers go to all the Peffen family. My brother Anthony played baseball with Tab when we were growing up. Many happy memories of our families spending time together at the ballpark and team parties every season. I remember Mrs. Burkhalter being so sweet and kind. May she rest in peace. I’m so sorry for the loss of your mother. My heart goes out to you. Tab and Kristin, I’m so very sorry for your loss. We really did have some fun times. Kathy was always a big part of it. I’m sure by the time we all graduated from 8th grade she took a big sigh of relief 🙂 what wonderful mom and lady. She’ll always be with y’all looking down from above. Much love and God Bless! My prayers are with all the family. I enjoyed knowing Kathy in grammar school and high school. She was always a beacon of light. The angels are getting a very special soul. God bless you all. My heart aches for you. I’m sorry for your loss. can help you find your smile.